In the Mailbox series of articles, experienced performers, casting directors and acting teachers will answer a variety of questions from actors in the United States and the United Kingdom on the subject of education, craft of acting and the business side of it. If you have any questions about acting, our team here at Acting in London are happy to answer them for you. 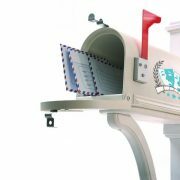 Please send us your questions and your question will appear in the future Mailbox article. All drama schools are treating their applicants equally and there are no officially applied age restrictions. However, seeing as drama school training is mostly physical and aimed at younger students, there are implied age ranges that school’s admissions committee is taking into account. Most of the time, any application from a person under the age of 35 is considered in the same way as those of 18 years old. Therefore, these applications are grouped into “age of 18-35” applicants and 99% of the time this is what the drama school class consists of. Anybody above the age of 35 can still apply and has an equal chance of getting accepted based on their lifestyle and previous experience and as long as they will be able to keep up with the requirements of the course. Drama school training is physically demanding and it’s not easy to keep up with the young ones. Generally speaking though, depending on the drama school, implicit age limit is usually around 50-55 years of age for undergraduate courses. I know some actors who received their degrees from drama schools in their early 50s. Having said that, there shouldn’t be anything stopping one from applying anyway and seeing what comes out of it. If you believe to be in great shape and acting is your passion, go for it. Alternatively, you can always start off your career by taking acting classes and looking for gigs on casting websites. In this case there will be no pressure from the course and no need to spend a pile of money in one instance. Becoming a working actor without a degree from a drama school is very much possible, and we cover this subject a little bit in Acting in London handbook (download it for free below this article). Congratulations on your big move! Now, unfortunately, the acting industry in the United Kingdom is not as diverse as it is in the United States. Agents and casting directors are very picky about their actors being able to speak in Received Pronunciation. That fact might lower your chances of getting representation at this point in your career to almost zero. However, this shouldn’t be your primary goal anyway and it absolutely doesn’t mean you cannot become a working actor in London. All you have to do is switch up your priorities. If you’re serious about pursuing an acting career, your best move right now would be to start working on your RP. Sign up for some accent classes and work at it. Don’t try to lose your native French accent either; learn to be able to switch between the two when required. Being a native French speaker, your accent and your language skills will come extremely handy later in your career. Aside from starting work with a dialect coach — same as for the inquirer above — take some acting classes, audition for local theatre productions and look for any possible gigs on online casting websites. This is how you get your feet wet, just remember — it might cost. Get that experience and training credits ready for when the time comes and you’ll have your RP accent down to a tee and begin seriously looking for representation.